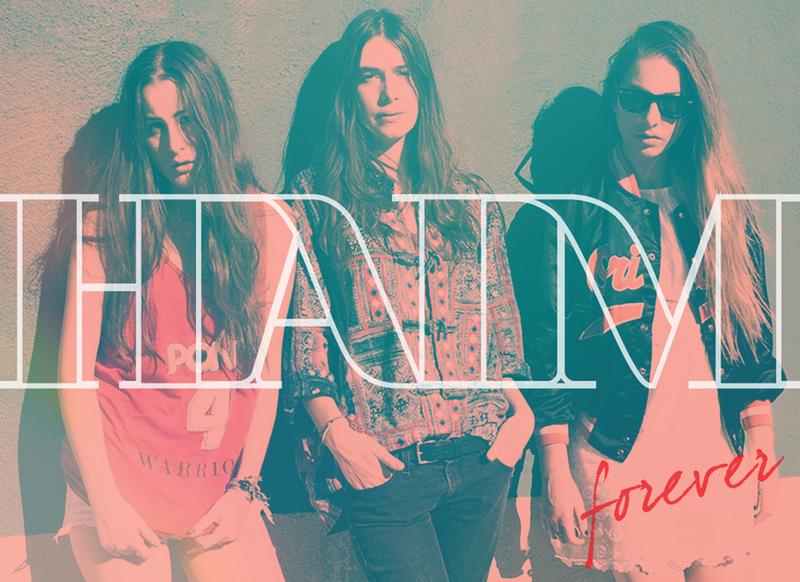 'Forever' is a track from Haim free 'Forever' E.P, which is going to be brought out as an official single. The band have a folk, but R&B feel, which I think is something quite unique and fresh. 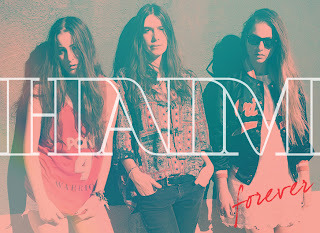 The band is made up of three sisters: Danielle, Este and Alana, and they are based in Los Angles. The single, 'Forever' is about trying to make love last in the world, and this is presented in the well-written lyrics, which helps to show off the band's great song-writing skills. Also, the song has an extremely memorable chorus, which you can't help but sing along to after a few listens. Guitars and synth are heavily used throughout the song, which helps to contrast the band from other girl groups in the charts at the moment, and helps to give them an edge over everyone else. In my opinion, Haim are possibly one of the best girl groups from this generation. They have gone against the typical stereotype of bubblegum pop, but have created their own unique style, with a hint of their rock chick essence. I would recommend listening to the band if you're into AlunaGeorge and Jessie Ware. The band recently won the BBC Sound of 2013 Poll, which just shows itself just how talented the band are. If there are any singles or albums you would like me to review, then just let me know by commenting below!